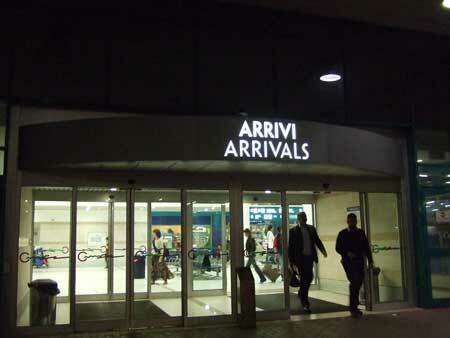 On this page we've created a list of airports in Italy, along with public transport connections and suggestions for nearby holiday destinations, with links to fuller articles on the airports and on the destinations where available. For now we're concentrating on airports with direct flights from the UK and Ireland, although there are a few other airports which can be reached by changing to an internal flight. We suggest airlines flying between the UK and Ireland and each airport, but it's not an exhaustive list and routes can change. We've not listed Italian carrier Alitalia; they have so many strikes we don't fly with them. Alternatively you may prefer to browse by holiday destination, reading our tourism articles which contain information on the nearest airports and transport links. Or you might want to read more about the budget airlines operating from the UK and Ireland to Italy, and the local airports they fly from. Italian airports often have a surprising number of names or descriptions. Ryanair give airports their own names depending on the nearest big destination (e.g. Milan Bergamo for what is actually Bergamo Airport). Then there is the most common name, describing the principal destination (e.g. Brescia Airport / Aeroporto di Brescia). Usually there is also an official name which typically commemorates a local historical figure (e.g. Marco Polo in Venice). Finally, you will occasionally hear the name of the specific locality. We've tried to include all variations on the airports' names and descriptions, along with their IATA (International Air Transport Association) code. We've listed direct airport transport connections; but travellers should check the latest timetables via the airport's official websites - sometimes airport bus services are very limited, although they do generally coincide with flights. Most airports in Italy aren't on the railway network, but there is usually a bus service into the nearest town which will stop by the train station. In most airports there is a public transport information stand which will provide information and sell tickets (you usually have to buy tickets before boarding a bus in Italy). Join the queue as quickly as you can, ahead of your fellow-travellers. It helps if you've done your research and know what you need. If there is no information office or ticket-vending machine, look around for a news-stand - these are often sources of information and tickets. Airport: Aeroporto di Alghero Riviera del Corallo. IATA code AHO. Where: At Fertilia, close to Alghero on the north-west coast of the island of Sardinia. Good destination for: Alghero, Cagliari and the rest of Sardinia. Public transport: Buses to Alghero and Sassari; long distance services to Nuoro and Cagliari. Also summer connections to the seaside at Stintino and Santa Teresa Gallura. Airport: Aeroporto Raffaello Sanzio di Falconara. IATA code AOI. Where: In central Italy, on the Adriatic coast in the Marche region. Good destination for: Ancona, the scenic Conero peninsula and the region of Le Marche. Public transport: Bus to Ancona station; also a rail connection from Castelferretti railway station outside the airport. More information: Ancona Airport (official website). Airport: Aeroporto di Bari Karol Wojtyla, also known as Bari Palese Macchie. IATA code BRI. Where: In Puglia, a few miles up the coast from Bari. Good destination for: Bari, Alberobello and the Puglia region. Also Matera in the neighbouring Basilicata region. Public transport: Local bus service into central Bari; shuttle bus to railway station. Airport: Bergamo Airport, called Orio al Serio and used by Ryanair as a gateway to Milan (they call it Milan Bergamo Airport). IATA code BGY. Where: close to the lovely historical town of Bergamo in the Lombardy region of northern Italy. Good destination for: Bergamo, Milan, Brescia, Lake Iseo. Public transport: Buses to Bergamo, Milan and Brescia. 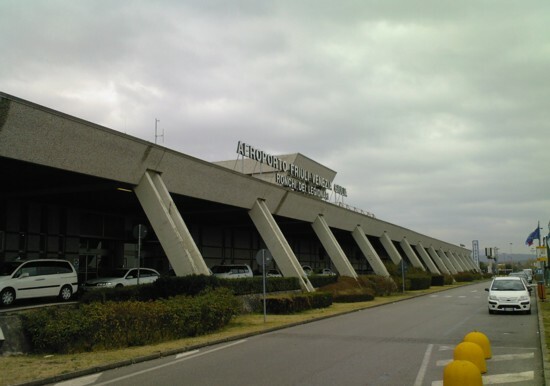 Airport: Aeroporto Guglielmo Marconi di Bologna. IATA code BLQ. Where: Just a few miles from Bologna, in the region of Emilia-Romagna, towards the top of Italy's boot. Good destination for: Bologna, Ferrara, Modena, Ravenna, Parma. Public transport: Bus to central Bologna and railway station; also buses to Modena and (long-distance) to Siena. More information: Bologna Airport (official website). Airport: 'Verona Brescia' Airport to Ryanair, Brescia Airport to most people, though officially called Aeroporto Gabriele D'Annunzio, and located at Montichiari. IATA code: VBS. Where: Between the city of Brescia and Lake Garda in the north of Italy. In the region of Lombardy but not far from the adjacent Veneto. Good destination for: Brescia, Lake Garda, Lake Iseo, Verona. Public transport: Buses to Brescia and Verona. 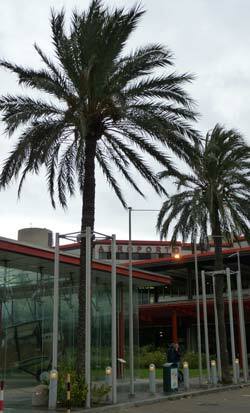 Airport: Aeroporto del Salento, also known as Casale. IATA code BDS. Where: About 3 miles from Brindisi, in the Puglia region of southern Italy. Good destination for: Brindisi, Lecce, the Puglia region. Public transport: Bus into Brindisi; bus to Lecce. Airport: Aeroporto 'Mario Mameli' di Cagliari-Elmas. IATA code CAG. Where: On the southern coast of Sardinia. Good destination for: Cagliari and southern Sardinia. Public transport: Bus into Cagliari. Airport: Aeroporto di Catania Fontanarossa 'Vincenzo Bellini'. IATA code CTA. Good destination for: Catania, Taormina, Siracusa and touring eastern Sicily. Public transport: Bus to Catania station; infrequent buses to destinations including Noto, Taormina and Siracusa; seasonal connections with Aeolian Islands ferries and with the seaside. More information: Catania Airport (official website). Airport: Aeroporto di Forlì 'Luigi Ridolfi'. IATA code FRL. Where: Close to the town of Forlì; 37 miles south-east of Bologna. Good destination for: Bologna, Ravenna, Rimini, the Adriatic coast. Public transport: Buses to Forlì station and to Bologna; summer bus connections to Ravenna and seaside destinations. Airport: Aeroporto di Genova 'Cristoforo Colombo'. IATA code GOA. Where: In north-west Italy, in the Liguria region, about four miles from Genoa (Genova). Good destination for: Genoa, Liguria, the Italian Riviera, the Cinque Terre, Santa Margherita Ligure, Portofino. Public transport: Bus to Genoa (Stazione Principe). Airport: Aeroporto di Lamezia Terme. IATA code SUF. Where: In Calabria, in southern Italy (in Italy's 'toe'). Good destination for: Lamezia Terme, seaside Tropea and the rest of the Calabria region. Public transport: Buses to Lamezia Terme station, occasional services to Catanzaro, Cosenza, Tropea and Vibo Valentia. More information: Lamezia Airport (official website). Milan Bergamo - see under Bergamo. Airport: Aeroporto di Milano Linate 'Enrico Forlanini'. IATA code LIN. Where: The closest international airport to central Milan, just five miles from town. Good destination for: Milan, Lake Como and the rest of Lombardy. Public transport: Buses into Milan and a few services to Pavia, Verona, Malpensa Airport and Brescia. Airport: Aeroporto di Milano Malpensa. IATA code MXP. Where: 30 miles to the north-west of Milan. Good destination for: Milan, Lake Como, Lake Maggiore and the rest of Lombardy. Public transport: Train to Milan; buses to many destinations including Milan, Como, Menaggio, Turin, Lugano, Novara, Lake Maggiore and Domodossola (check timetables as services may be few). Airport: Aeroporto di Napoli Capodichino 'Ugo Niutta'. IATA code NAP. Where: Just outside Naples (Napoli), in southern Italy. Good destination for: Naples, Capri, Ischia, Sorrento, the Amalfi Coast and the rest of Campania. Public transport: Buses into Naples stopping by station and ferry terminal; buses to Salerno, Sorrento (stopping at Vico Equense and other intermediate towns); nearby bus stops for Caserta, Avellino and Benevento. Airport: Aeroporto Olbia Costa Smeralda. IATA code OLB. Good destination for: The Costa Smeralda, north-eastern Sardinia. Airport: Aeroporto di Palermo 'Falcone e Borsellino', at Punta Raisa . IATA code PMO. Where: At Punta Raisa, 20 miles from Palermo on the northern coast of Sicily. Good destination for: Palermo, Trapani and touring Sicily. Public transport: Train to Palermo; buses to Palermo, Trapani, Agrigento. More information: Palermo Airport (official website). 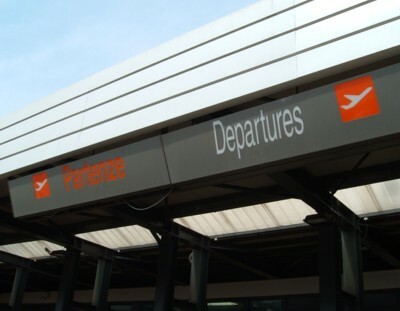 Airport: Aeroporto di Parma 'Giuseppe Verdi'. IATA code PMF. Where: A couple of miles from Parma in Emilia Romagna. Good destination for: Parma, Bologna. Public transport: Bus to Parma railway station. More information: Parma Airport (official website). Airport: Aeroporto Internazionale dell'Umbria, also Perugia Sant'Egidio and named after Adamo Giuglietti. IATA code PEG. Where: Eight miles from Perugia, in Umbria, central Italy. Good destination for: Perugia, Assisi, Lake Trasimeno, and exploring Umbria. Public transport: Limited buses to central Perugia and railway station. More information: Perugia Airport (official website). 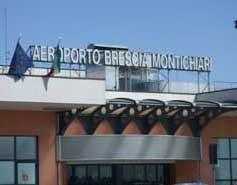 Airport: Aeroporto d’Abruzzo or di Pescara. IATA code PSR. Where: In the Abruzzo region of Italy, on the eastern (Adriatic) coast above the 'spur' of Italy's boot. Just a couple of miles from the centre of Pescara. Good destination for: Seaside resort Pescara (over-developed, popular with Italians), L'Aquila, the Gargano Peninsula, Sulmona and the Abruzzo National Park. You can also head across Italy to Rome. Public transport: Bus to Pescara. More information: Pescara Airport (official website). Airport: Aeroporto di Pisa - San Giusto 'Galileo Galilei'. IATA code PSA. Where: Just a mile from Pisa in Tuscany. Good destination for: Pisa, Lucca, Florence and the rest of Tuscany, also La Spezia, Portovenere and the Cinque Terre. Public transport: Trains into Pisa and to Florence; buses to Pisa, Lucca and Livorno, occasional buses to Siena, Montecatini Terme, Pistoia and Prato. Airlines: Ryanair; British Airways; Easyjet. Airport: Aeroporto di Rimini-Miramare 'Federico Fellini'. IATA code RMI. Where: In Emilia-Romagna, on the coast south of Ravenna. Five miles from Rimini. Good destination for: Rimini, San Marino, Ravenna, Urbino, Bologna. Public transport: Bus to Rimini station. More information: Rimini Airport (official website). Airport: Aeroporto Giovan Battista Pastine di Roma Ciampino; IATA code CIA. Where: The nearest airport to central Rome, to the south of the city. Good destination for: Rome, Castelli Romani and the rest of the Lazio region. Public transport: Buses to Ciampino railway station, Anagnina underground (Metro) station and Stazione Termini in central Rome. More information: Rome Ciampino Airport. Airport: Aeroporto Leonardo da Vinci di Roma Fiumicino. IATA code FCO. Good destination for: Rome, Viterbo and northern Lazio. Public transport: Trains and buses into Rome; buses to Ostia Lido; train onwards to Orte. Airlines: British Airways; Aer Lingus; BMI Baby. More information: Rome Fiumicino Airport (official website). Airport: Aeroporto Trapani-Birgi or Vincenzo Florio Airport. IATA code TPS. Where: In the north-western corner of the island of Sicily, around ten miles from Trapani. Good destination for: Trapani, Palermo. Public transport: Shuttle bus to Trapani; long-distance coaches to Agrigento. 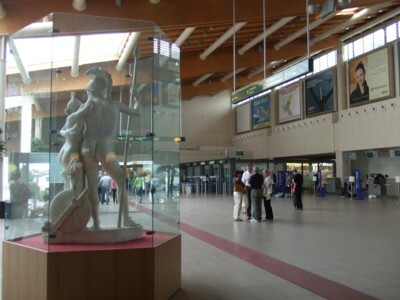 Airport: Ryanair's 'Venice' Airport' is actually the Aeroporto di Treviso, named after sculptor Antonio Canova and formerly Treviso Sant'Angelo; IATA code TSF. Where: just outside Treviso in the Veneto region of north-east Italy. Good destination for: Treviso, Venice and the rest of the Veneto (via those two towns). Public transport: Buses to Venice, Mestre and Treviso. More information: Venice Treviso Airport. Airport: Trieste Airport is officially called Aeroporto Friuli-Venezia Giulia, but is also known as Ronchi dei Legionari after the local area; IATA code TRS. Where: the far north-east of Italy, near Trieste. It's close to the little town of Monfalcone, which has a railway station. Good destination for: historic sea port Trieste, seaside Grado, Roman Aquileia, crossing the border into Slovenia, exploring the Friuli-Venezia Giulia region, travelling down to Venice and the Veneto. Public transport: Buses to Trieste, Monfalcone railway station, Gorizia, Udine and Grado. Airport: Aeroporto di Torino Caselle; IATA code TRN. Where: In the north-west of Italy, in the region of Piemonte (Piedmont), ten miles from the city of Torino (Turin). Good destination for: Turin and the rest of the Piemonte region. Public transport: Buses to Turin's bus station and Porta Nuova railway station; trains to Doria railway station. Airlines: Ryanair; Easyjet; British Airways. Airport: Aeroporto Valerio Catullo di Verona Villafranca; IATA code VRN. Where: Just eight miles from Verona, in north-east Italy. Good destination for: Verona and the rest of the Veneto; Lake Garda. Public transport: Buses to Verona Porta Nuova railway station. More information: Verona Airport (official website). Airport: Aeroporto di Venezia Marco Polo; IATA code VCE. Where: on the mainland shore of the Venetian lagoon, at Tessera (once a fishing village), a few miles from Venice. Good destination for: Venice, Padua, Lido di Jesolo and the rest of the Veneto, with some direct transport links inland and seasonal links to the mountains and the seaside. Public transport: Boats to Venice; buses to Venice, Mestre railway station, Padua, Lido di Jesolo and other (seasonal) destinations. 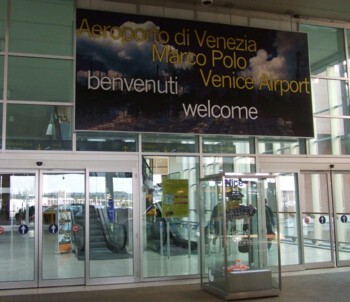 More information: Venice Marco Polo Airport.